Are you looking for inspirations for your wedding? When you're in a serious relationship with someone, well of course you'd think to bring your relationship to a next level. But, there're many couples who're afraid of the word 'marriage' because they think it's so complicated to plan their wedding. Recently, someone I know will get married next year and she was looking for some inspirations and informations for her pra wedding and her wedding day. I'm sure she must feel so lost and confused..
Mostly people will just visit a wedding exhibition but sometimes there're many obstacles such as distance, time, place and traffic jam. Bridestory is a website that provides various informations about wedding vendors and moreover, they connect you with them! The unique things I find is they have 22 categories to choose so it is easier for the brides to get the information they want. For example, If I tick the Bridal box.. 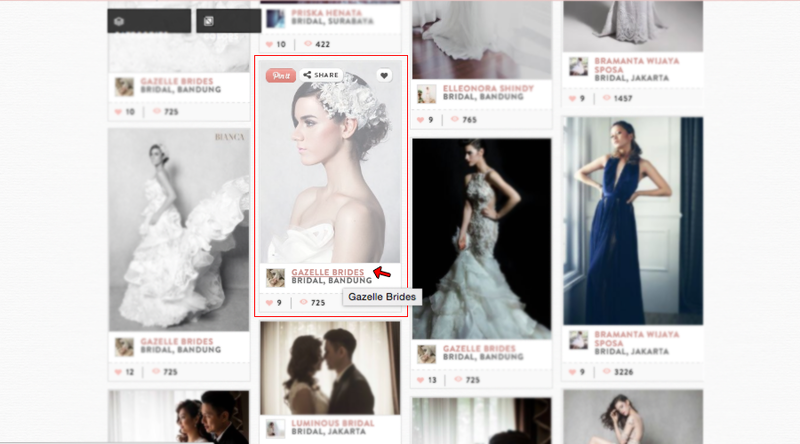 They sorted the vendors and only shows the informations about Bridal so we can browse all the vendors with ease. If you're interested with one of their wedding vendors, you can just click their profile and see their information, don't forget to contact them directly! But you can only see the information if you sign up and create an account on their website. Don't worry it's really easy and quick, you can sign up with your facebook account too! 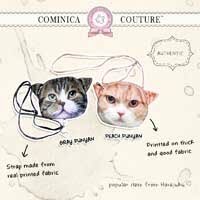 Very convenient! I think this kind of wedding site is really interesting and informative. It suits most people life style now, the brides can easily access the website and find anything they need for their wedding day! For the brides, a wedding day is the most important day in their lives. They must look like a pretty angel on their wedding day with a perfect white wedding gown and pretty stylish hair! 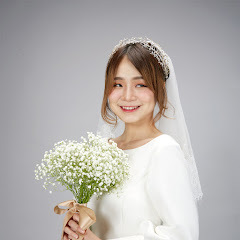 In my country a pra-wedding photo shoot is a must and really popular. All brides must find a good vendor to do the wedding photoshoot along with the venue, decorations and food. The bride's wedding make up must be done perfectly with a professional make up artist. A professional make up artist knows the best to enhance your face feature and create a flawless make up just for you! Personally, I don't like going to an exhibition because in Jakarta the traffic is really horrible. Beside that, it's so hard to find spot for parking too (lol) and inside the exhibition must be really crowded. 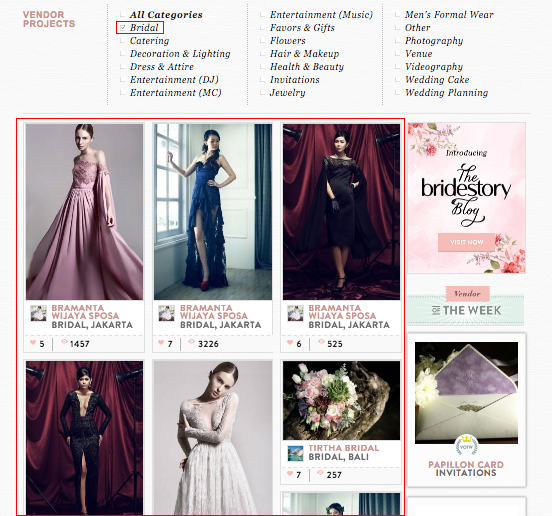 I dislike crowded place so I think a wedding site like Bridestory is the most suitable for a busy people like me. This is my personal opinion based on my life style and my personality haha (I'm an introvert). If you're reading this now and planning a wedding, maybe you can consider to visit their awesome website and start browsing for some inspirations. Remember to sign up first so it's easier to contact the vendor if you're interested with one of them. 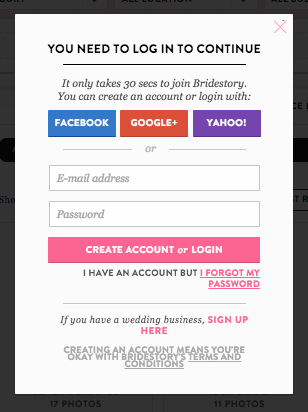 I'm going to tell my friends about Bridestory so they can get useful informations and inspirations to plan their wedding day easily. I'm sure they'll feel saved, lol. My friends mostly are busy with their job and life so this kind of website is really saving their time.